Neverwinter is the second book in The Neverwinter Saga and is the twenty-first novel in The Legend of Drizzt series. The first book in the saga is Gauntlgrym and the next book is yet to be named at the time of this review. Neverwinter takes place in the Forgotten Realms universe of Dungeons and Dragons. The Legend of Drizzt series consists of The Dark Elf Trilogy (Homeland, Exile, and Sojourn), The Icewind Dale Trilogy (The Crystal Shard, Streams of Silver, and The Halfling’s Gem), Legacy of the Drow (The Legacy, Starless Night, Siege of Darkness, and Passage to Dawn), Paths of Darkness (The Silent Blade, Spine of the World, Sea of Swords), The Hunter’s Blades Trilogy (The Thousand Orcs, The Lone Drow, and The Two Swords), and Transitions (The Orc King, The Pirate King, and The Ghost King) are all apart of The Legend of Drizzt series. Some other characters in the saga are found in The Sellswords trilogy (Servant of the Shard, Promise of the Witch King, and Road of the Patriarch) and The Cleric Quintet (Canticle, In Sylvan Shadows, Night Masks, The Fallen Fortress, and The Chaos Curse). R. A. Salvatore has also written a few other books set in shared universes. He has written two Star Wars based books, Vector Prime and Star Wars Episode Two: Attack of the Clones, and he has also written a book based on Tarzan called Tarzan: The Epic Adventures. R. A. Salvatore has also written a few books in his own created worlds, Ynis Aielle (Echoes of the Fourth Magic, The Witches Daughter, and Bastian of Darkness), Spearwielders Tales (The Woods Outback, The Dragon’s Dagger, and Dragonslayer’s Return), The Crimson Shadow (The Sword of Bedwyr, Luthien’s Gamble, and The Dragon King), Demon Wars (The Demon Awakens, The Demon Spirit, The Demon Apostle, and Mortalis), Demon Wars: Second Saga (Ascendance, Transcendence, and Immortalis) and the Saga of the First King (The Highwayman, The Ancient, The Dame, and The Bear). He also co-wrote The Stone of Tymora (The Stowaway, The Shadowmask, and The Sentinels) with his son Geno Salvatore. Along with all that, he has written a few short stories. Neverwinter was released in October 2011 and is published by Wizards of the Coast LLC. After losing the last of his friends, Drizzt Do'Urden finds himself seeking a new adventure. His only companion, the Thayan elf Dahlia Sin'felle, wants to take revenge on her former master, Sylora Salm. What else can Drizzt do but join her and hope to avenge all those lost due to Sylora's involvement in causing a massive eruption which wiped out all of Neverwinter. 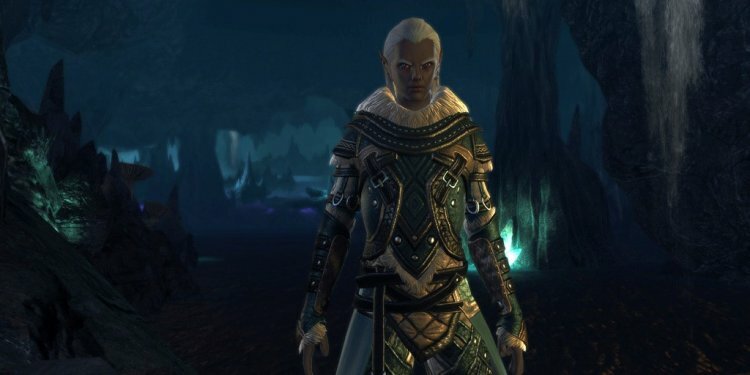 But Sylora has plans of her own to take down her former champion, as well as, conquer all of the newly thriving Neverwinter in the name of Thay. The only thing stopping her is the Empire of Netheril, who has plans for Neverwinter as well. Unfortunately for Drizzt, traveling with Dahlia isn't something that he expected and he finds himself challenged by her views the world.